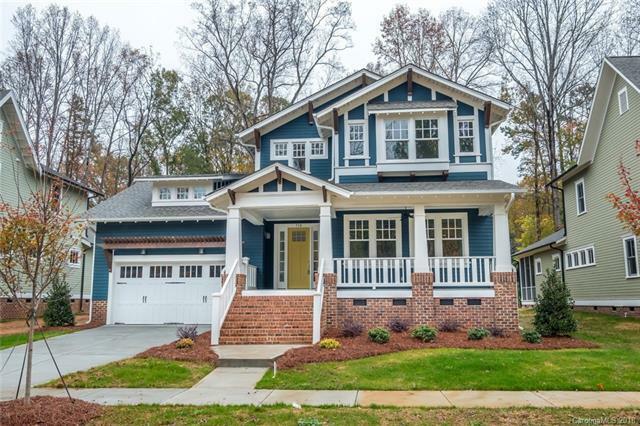 New Construction Home by prominent local builder. 0pen floor-plan w/ 4 Bedrooms, 3.5 baths, attached garage. All selections by interior designer including gourmet kitchen with granite, GE Stainless gas range/cooktop, island, walk-in pantry, 42" maple cabinets. Main level has 3 1/4" oak floors, 10 ft ceilings, extensive molding, and built-in cabinetry around gas fireplace. Main Level master bedroom with large walk-in closet, double vanity with granite, garden tub, tile floors. Walkable location!